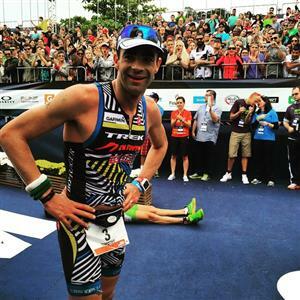 #IMBrasil Stevens is cruising along with a +1:28 lead on Lyles. Monticeli is flying and has powered her way into third, at +2:18. #IMBrasil - If Monticeli and Stevens maintain their current pace, Monticeli could grab the win close to the end of the marathon. #IMBrasil Stevens is getting some heat now from both Lyles and Monticeli as both women are running together just +1:07 off the leaders pace 30 km. 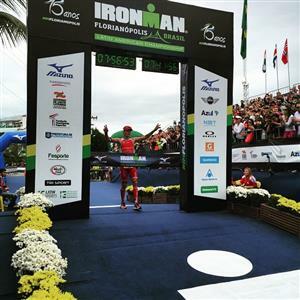 #IMBrasil Stevens lead is down to 27 sec's at 32 km's. Lyles is running in third at +0:59. 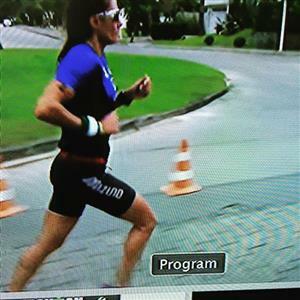 #IMBrasil Monticeli has Stevens in her sights and is only 15 seconds behind the leader at 33.25 km's. 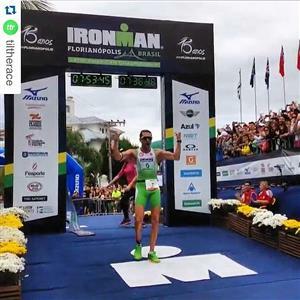 #IMBrasil - At 38.5 km’s, Monticeli now has advantages of 53 and 58sec's on Stevens and Lyles. #IMBrasil - Lyles and Stevens are running side by side 39 km's, one minute behind Monticeli. #IMBasil At 40. 5 km's Monticeli has a 51 sec lead on Lyles, while Stevens is running in third, +1:28 off the pace. 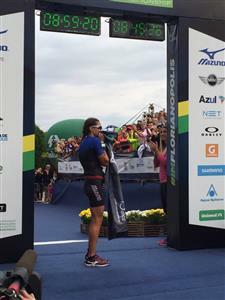 Ariane Monticeli from Brazil takes the title.